Los Dos come in to the match against San Antonio FC off of a home win as they managed a 2-0 win over Vancouver Whitecaps 2. They were given a big boost to open the scoring as Vancouver Sem De Wit’s header back to the keeper inadvertently nutmegged Spencer Richey in the Vancouver goal. The other goal of the match came in the 67th minute through Ethan Zubak who was able to get on the end of a cross from Bradford Jamieson IV. In between the two goals Vancouver was the much stronger side as they controlled proceedings but couldn’t find a goal. It was not the most polished performance from Los Dos but it got the job done, but the problems there will leave San Antonio FC happy that they can play Los Dos in an early season match before they really hit their stride. Statistical Note: A win for San Antonio FC would be their first ever win in a home opener and their first against LA Galaxy II. Both sides were able to carry early goals to their wins last week and as such an early goal will be significant, potentially acting as the match winner. LA Galaxy II scored especially early in their win and despite being out played for much of the match they won largely thanks to that score board pressure, so San Antonio FC will have to make sure to score first as LA Galaxy II will shut down well and make it very difficult to score. 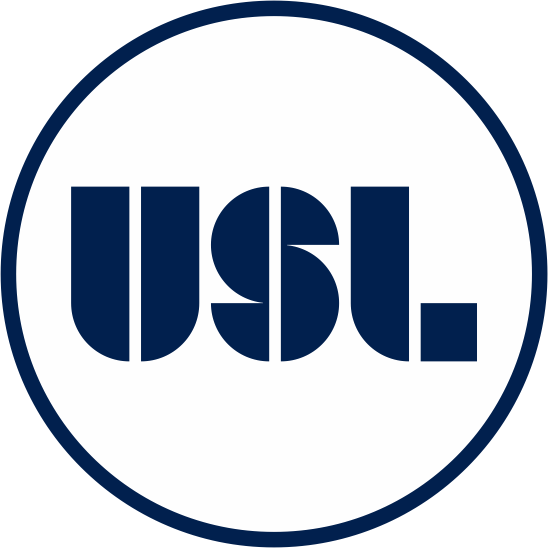 With no third division league in the United States in 2017, the United Soccer League (USL) has announced on Thursday that it will launch a third-division league in 2019, essentially a USL 2 like they used to have back in the last decade. The USL is currently the largest second division, in terms of members, in the world and it is expected that this lead could well make that smaller. That would make the two leagues more manageable and could potentially see a return to inter-conference play in the top USL division. Despite those statements it seems clear that part of the intent of the USL2 will be to improve the current USL and boost their chances of getting second division sanctioning permanently. With a number of teams currently not meeting second division status relegating those teams to the third division will boost USL’s chances of receiving that sanctioning. USL state that they have been working on this idea for 18 months, and the league will include access to all the current USL features, including USL productions. There was no mention in the announcement of what markets they are looking at for this new division, but it could potentially include a number of successful Premier Development League (PDL) markets switching to professional teams. For Texas an obvious candidate for this league is a return of the Austin Aztex, who are currently in hiatus due to being able to find an appropriate venue for second division soccer. Their former home venue of House Park would be good enough for third division standards and playing would help bring in investors that could potentially help make a leap to a second division venue and the second division. The elephant in the room is what the status of the Major League Soccer (MLS) reserve teams will be, with many fans desiring that those teams would compete in the third division. Despite that wish, a number of the MLS reserve teams meet second division standards, as being a reserve team is not a disqualifying issue, and as such USL may want to keep at least some of them in the second division. In addition, the last final was contested between two MLS reserve sides (New York Red Bulls II and Swope Park Rangers) with the 2015 final featuring an MLS reserve side, LA Galaxy II, so their performances would not justify such a relegation. Houston Dash suffered their first loss of preseason as they fell to a 2-1 loss to Chicago Red Stars in the Thorns Spring Invitational in Portland on Wednesday night. Chicago had the lead in the first half as a penalty allowed them to take the lead in the 41st minute which came after Chicago forward Jen Hoy was brought down. That allowed another Chicago forward, Christen Press to step up to the spot and hit the penalty successfully to make it 1-0 for Chicago at half-time. The second half was like the first, tight throughout most of the match with neither side able to get a goal until late in the half. That goal came in the 81st minute through yet another penalty as Houston forward Melissa Henderson was fouled by Chicago defender Taylor Comeau, allowing Henderson to dust herself off and bury the penalty. But that was only short lived as two minutes later Chicago restored their lead and sealed the win with Press again scoring the goal. The cross came in to the box, Press controlled with her first touch and scored with her second, scoring with a goal that snuck in by the near post for the winner. Things could have been very different for the Dash had they have converted their early chances in the match. Three minutes in Janine Beckie and Nichelle Prince linked up well for Houston as Prince set up Beckie whose shot beat the keeper but scraped the crossbar on the way out for a goalkick. Chicago goalkeeper Alyssa Naher was on fire for the Red Stars as she made several strong saves against the Dash throughout the much. In the 22nd minute Beckie was denied as her volley was saved by a Naher punch before another chance fell to Beckie again in the 39th when Naher recovered to close down Beckie and get enough on it to get it away from the forward, proving a vital part of the win. Houston Dash has continued their perfect start to preseason as they managed a comeback victory over the Under 23 US Women’s National Team at Providence Park in Portland on Sunday afternoon. Defender Bruna Benites and midfielder Amber Brooks scored the goals giving Houston Dash a bit win to boost confidence ahead of the season proper. After trailing heading in to the 89th minute the Dash exploded and managed an impressive come back. The first goal came in the 74th minute to the Under 23 National Team as US Under 23 forward Savannah McCaskill saw her shot saved by Dash goalkeeper Bianca Henninger. The rebound fell back out to McCaskill who was able to sneak the ball home from close range just sneaking it between Henninger and the post. Seemingly out of the match Houston Dash was able to pull back to level terms in the 89th minute, seemingly getting a draw out of the match. Benites scored the goal, her first for the club as she redirected a cross from Brooks, sending the keeper the wrong way. Despite it seeming like Houston would have to settle for a draw the Dash were able to steal the win in the 94th minute. The ball was sent in by forward Stephanie Ochs who swung in a corner finding Brooks who beat the keeper to the ball heading it home. In truth the result was likely a fair reflection of the match as Houston troubled Casey Murphy in the US Under 23s goal much more than Henninger was troubled. Houston Dash continue their play in the Thorns Spring Invitational on Wednesday when they play Chicago Red Stars. San Antonio FC has sealed their first ever derby win, getting a perfect start to their season as they managed a 1-0 win over RGV FC Toros on Sunday Evening. Forward Billy Forbes was the hero in his first match for the club as he scored the only goal of the match. There was a perfect return to San Antonio soccer for Forbes as he scored his first competitive goal for the club. The goal came after San Antonio FC forward Cesar Elizondo was able to cut the ball back for Forbes who was left wide open by the RGV FC defense allowing him to score a perfectly placed goal in the 15th minute. After an even start San Antonio FC looked to get control of the match after the first five minutes putting plenty of pressure on the RGV FC defense which finally told with the 15th minute goal. There was an horrific miss for RGV FC in the 30th minute after a big error from San Antonio FC defender Cyprian Hedrick allowed RGV FC forward Ruben Luna to steal possession and run clean through on goal. Luna ran in and cut the ball back for fellow RGV FC forward Kyle Murphy, with the goal at his mercy Murphy somehow sent the ball well wide of goal when it seemed harder to miss. That would turn out to be Hedrick’s last involvement as he was substituted following an apparent injury in that play. Late in the first half San Antonio FC were forced to defend more and more but they were able to effectively back the box, which kept RGV FC from having the space. As the ball approached their box San Antonio would narrow their defense, keeping RGV FC from having space, which they needed to play their style of soccer, choking the Toros and keeping San Antonio in front at half-time. San Antonio FC goalkeeper Matt Cardone showed his value in the 53rd minute when he atoned for his poor clearance. His ball found RGV FC midfielder Eric Bird who ran at goal and was pushed wider by San Antonio defender Sebastien Ibeagha which forced the shot from Bird at a tighter angle allowing Cardone to make a strong save, smothering the rebound. RGV FC was denied by the post in the 58th minute and again it was Murphy who was left frustrated on the finish. After the ball bounced around in the box it fell out to Murphy whose effort was much better than his first attempt but still let San Antonio off the hook as it only found the post. In the 73rd minute RGV FC had shouts for a penalty after Luna went down in the box after a challenge from Cardone. The shouts were waved away as the referee pointed for a corner which replays suggested was the correct decision with Cardone getting a strong palm on the ball, a vital save in sealing the win. San Antonio FC has sealed their first ever derby win, getting a perfect start to their season as they managed a 1-0 win over RGV FC Toros at HEB Park on Sunday Evening. Forward Billy Forbes was the hero in his first match for the club as he scored the only goal of the match to give the . Four San Antonio boys’ varsity teams faced playoffs on Thursday with a successful day as three of the four, Johnson, Clark and Southside advanced while Harlandale was easily defeated. In the Class 5A Bidistrict playoffs Southside did just enough to advance to the next round of playoas they managed a 1-0 win over Corpus Christi King. 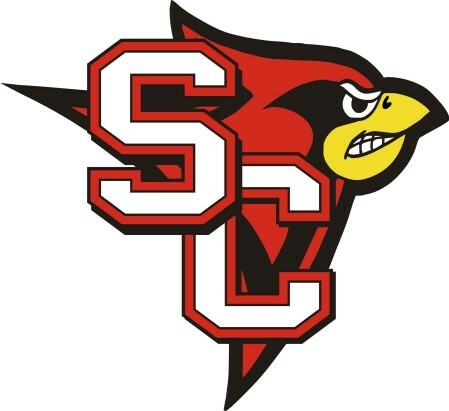 A goal in the first half was enough to send the San Antonio school past their Corpus Christi rivals. The hero was junior forward John Lopez who made a strong run to get on the end of the ball and send it home in the first half. Senior defender Gilbert Casillas had the assist a vital contribution to continue his varsity soccer career, as that early lead would hold to send Southside through. At Texas Lutheran Johnson won through to the next round of the Class 6A bidistrict playoffs after a 4-1 win over Austin Vandegrift. Senior forward Seth Holzmann was the hero for Johnson as he scored a hat-trick in the dominant win. Holzmann scored two first half goals and one in the second half to lead Johnson through to the next round of the playoffs. Senior midfielder Jacob Hallenberger managed to put the icing on the cake late in the match with a goal of his own to seal the 4-1 win. A San Antonio team will be guaranteed to advance beyond the next stage of the 6A playoffs as Clark also advanced managing a 4-1 win over Canyon. A strong second half sent Clark past Canyon as they scored three of their goals in the second half with sophomore forward Eduardo Ramirez getting two of them and being the star of the match. The scoring was opened in the first half by senior midfielder Andree Hernandez who was able to put away a ball from junior midfielder Daniel Rodriguez. That was enough for Clark to take the lead at half-time and in the second half Rodriguez was at it again as he set up sophomore midfielder Angel Caballero for the second goal, putting Clark in charge of the match. From there Ramirez scored his brace with both goals being set up by senior midfielder Luis Carlos Garcia to send Clark through to the next round. There was a consolation goal for Canyon as junior forward Hector Rios Mauldin was able to put away a ball from fellow forward, sophomore Luis Florian but it was not enough as Clark strolled through to the next round. There was one negative result for San Antonio teams as Harlandale were outplayed in the Class 5A playoff. They fell to a 6-0 defeat to Flour Bluff of Corpus Christi ending their season in frustrating fashion. 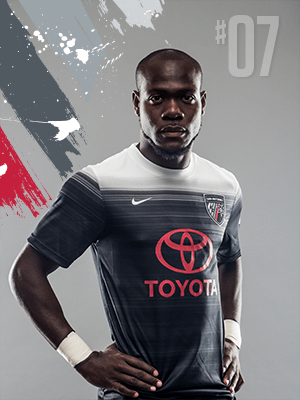 San Antonio FC kicks off their second season of existence on Saturday, again starting their season with a match on the road as they play their first derby of the season in Edinburg against Rio Grande Valley FC Toros. While the events off-field were phenomenally successful for San Antonio FC their on-field results were not what they wanted. Throughout last season all the staff of the club stated their goal was the playoffs and the club fell just short. But that was an ambitious goal for a club that did not exist until January of that year and as such could not generate a squad without a full off-season, so now, in their second season the club can really challenge for a playoff place that they should qualify for. There have been a handful of notable departures from the club with Franck Tayou being the most dramatic, dismissed from the club after his failure to report for pre-season training. Josh Ford has left the club after retiring, an unfortunate end to his career as a long servant of soccer in America. Two players have left the club and remain in the United Soccer League (USL), Manolo Sanchez moved to Harrisburg earlier this week after a successful trial but will not face San Antonio FC. The other is Jason Johnson, who moves to Phoenix Rising meaning San Antonio FC will get to face their former squad member. Tayou is the loss fans are most frustrated by, and they should be it was a foolish reason to abandon the club and his output will leave a hole. The ‘ins’ are where San Antonio FC have really excelled having one of the best off-seasons in terms of recruitment in USL. Two former Scorpions have returned to San Antonio with Kris Tyrpak returning to Texas after a season at Swope Park Rangers and fan favorite Billy Forbes comes back to San Antonio after a season with the ill fated Rayo OKC, joining along with another Rayo OKC player, Pecka, a phenomenal pick up for San Antonio FC. 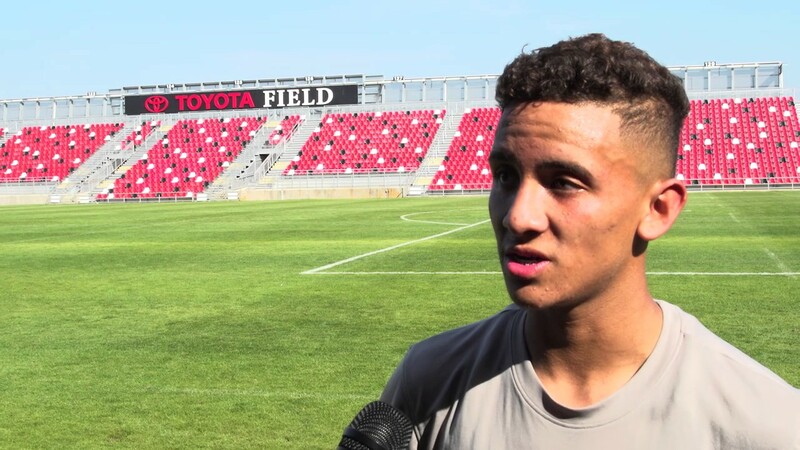 One of the bright youngsters signed by the club in the offseason is local product Devin Vega who joins after a strong youth career in the FC Dallas academy. Vega has had a productive pre-season, scoring more goals than any other player and looks set to have a strong season and could be one of the pick ups of the season. With Ford retiring another goalkeeper was needed to challenge Matt Cardone for the starting position and in Diego Restrepo they have certainly found someone to push Cardone. In all San Antonio FC has made 13 new signings ahead of the 2017 season and have strengthened their squad to the point where it should be strong enough to find a playoff place, in what will be a hard fought western conference. After a promising start for Houston Dynamo’s season under a new head coach, Wilmer Cabrera, they have suffered a hit to their season as they announced on Tuesday that they lost George Malki for the season due to injury. The announcement revealed that the injury, sustained at a training session last Wednesday, is a torn anterior cruciate ligament (ACL) in his left knee, an injury significant enough to already rule him out for the rest of the season. The injury will require surgery, with Malki getting that surgery on Friday at Houston Methodist Sugar Land Hospital with Dr. Tim Sittler performing the surgery. The loss of Malki is disappointing for Houston as he was a part of the rebuilding of the side under Cabrera for the 2017 season. Malki joined Dynamo the same way Cabrera did, coming with him from Rio Grande Valley FC Toros after playing 25 matches for the club last year. 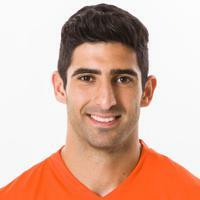 This is the second time Malki has been with Houston Dynamo, having previously been with the team in the 2015 preseason but not gaining a contract. That saw him join Arizona United SC (now Phoenix Rising) for his first professional season, impressing enough to join the Houston Dynamo pathway in Rio Grande Valley and his performances there have brought him up. 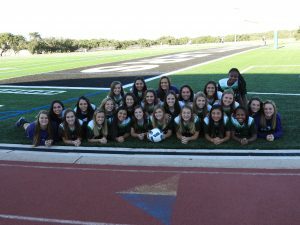 Reagan closed out their girls’ soccer regular season in the best possible way as they demolished MacArthur 7-0 at Blossom on Tuesday afternoon. Impressively all seven goals in the match came from different players, with no player scoring multiple goals. That augers well for the Rattlers heading in to the postseason play with a deep pool of players capable of scoring goals. Junior midfielder Sarah Puga was involved in three goals, providing two assists and scoring one herself. It took just two minutes for the Rattlers to open the scoring, in a sign of what was about to happen for MacArthur. Sophomore midfielder Rachel Hilliard was able to get on the end of a chance and bury it getting Reagan off to a flying start. After that goal MacArthur’s defense settles, at least a little but in the eighth minute they were able to double their lead. This time it came through senior forward Taylor Olson who was able to continue her good season, using her speed to get on the end of it and make it 2-0. 11 minutes later and the onslaught continued as the Rattlers continued attacking with senior forward Lauren Anderson scoring another goal for Reagan. It took just five minutes before Reagan made it four as Angela Baltimore was able to score her goal. That was the middle of an onslaught as just four minutes later Reagan had another goal as senior forward Jala Tousant was able to bury her chance. Just two minutes later they made it 6-0 as a corner found sophomore defender Eden Jones who used her height to bury the chance. With a phenomenal six goal lead at half-time the second half saw less intensity as Reagan let off the gas a little but still controlled proceedings. Late in the match Reagan made it seven as the corner was swung in by Puga, who managed to score directly from the corner wrapping up the 7-0 win.